There are 8 reviews of One Man Show Ruby Edition. Like with other Jacques Bogart fragrances, I find the scent, price, and power of this to be incredible. Only for about $25, this is one of the strongest fragrances I own. It smells to my nose basically of a loud cherry-oud combo with hints of lavender and apple in the background. Don't expect any sort of natural scent though. This is synthetic as it gets, but in a good way (it smells pretty great to my nose). This is also a BEAST of a fragrance. Anything above 2 sprays is overdoing it. Projection is loud while longevity is also strong, with strong projection for hours and hours. It smells kind of like a fruitier, slightly more fresh, "younger" (less mature vibes), and more cherry-intensive version of Bogart pour Homme, replacing the tobacco with oud. 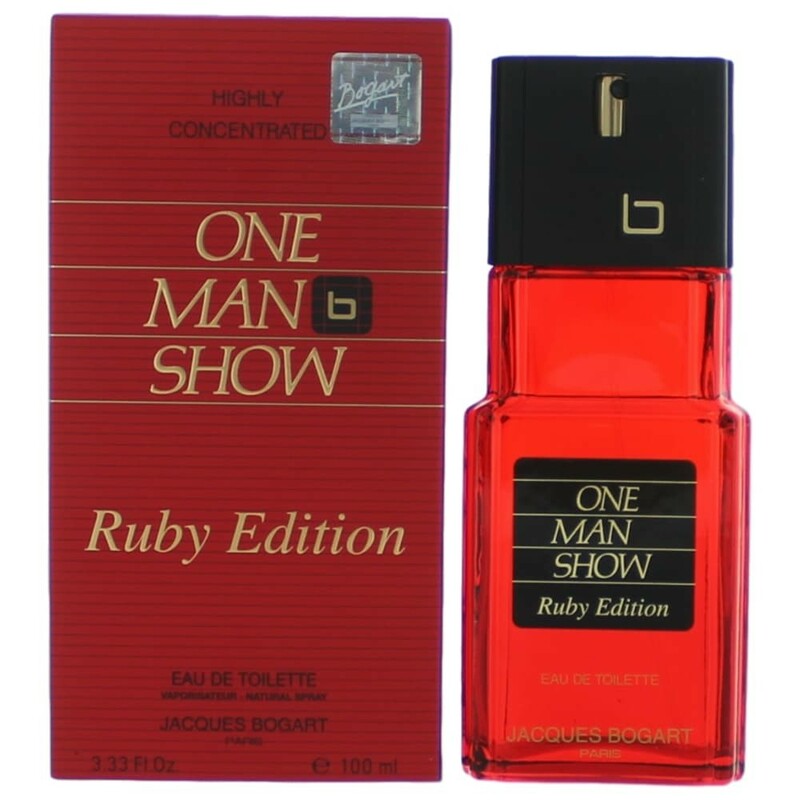 I own 3 Bogart fragrances - Bogart pour Homme, Silver Scent Pure, and One Man Show Ruby Edition - each of which I got for $25, and each of which project loudly and last an insanely long time in the cold winter air. They are some of my favourite winter fragrances for this reason. I find One Man Show Ruby Edition very unpleasant. I do not agree with the other reviewers that liked it and found that the smell developed over time. And yes, this is not a scent, this is a smell. Oily, petrochemical, with a distorted impression of grape underneath. The scent does not change. If it becomes less unpleasant it is because it gets weaker. How many notes?? A lot but it works so well. Honey, cherry pie, tobacco, incense, oud plus various spices. BEWARE.....This is potent stuff. You will literally have to boil wash your shirt to remove it from your collar. Totally synthetic but worth it for the money. I get oily metal, then synthetic, fruity-florals. Not offensive but not pleasing either. Strong projection, you won't need but a few sprays. What an excellent fragrance ! Base notes of Oud and Honey, with heart notes of Saffron and Incense. All blended with Apple and Orange Leaf giving it a fruity vibe. This is a masculine scent, definitely. It may also be of interest to those wanting a first intro into Oud based fragrances. At dry down I get honey and sweetness superior to the other notes mentioned above, however OMS Ruby is spiced just enough to prevent the sweetness from becoming cloying. Like all JB scents this is suited to Winter & Fall. Ruby is also suited to Spring & Summer, by easing up just a bit on the finger trigger ! There are no member images of One Man Show Ruby Edition yet. Why not be the first? 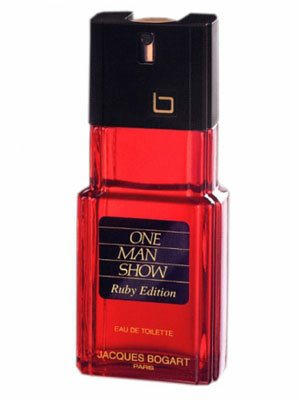 Would you wear Jacques Bogart One Man Show Ruby Edition in summer?